This is what I can offer you: A great massage that helps you relax and feel better. A refuge from the stresses of your day. Strong, sensitive hands that know exactly where your knots are -- and how to help them let go. A quiet, safe place to unwind, heal, and recharge. Plus helpful, practical suggestions for how to keep the good feelings, long after your massage has ended. Whether you want a traditional massage, a more esoteric treatment (like energy work, Trager®, or Watsu® -- which is done while you float in warm water), or guidance so you can give better massages, I invite you to schedule a session with me by clicking here. I have over 3000 hours of training. I am nationally certified by NCBTMB as bodyworker and bodywork instructor, and by the US Trager Association as a Trager Pracitioner; I am a California State Certified Massage Therapist (CAMTC #47488). I hold certifications as a Bodywork Therapist, Massage Therapist, Shiatsu Practitioner, and Craniosacral Practitioner from the former School of Shiatsu and Massage, in Middletown, CA. I am certified by the Worldwide Aquatic Bodywork Association as a practitioner of Watsu, Waterdance, Healing Dance, and as an instructor of Watsu and Fluidics. I am a member of the American Massage Therapy Association, and have held massage licenses in Hawaii, New Mexico, and locally in California. Until recently, I work as a bodyworker and bodywork instructor at Harbin Hot Springs, a retreat center in Middletown, CA. 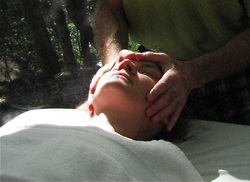 I have worked at other leading resorts and spas, including The Mauna Lani Bay (Big Island, HI), Two Bunch Palms (Desert Hot Springs, CA), and Ten Thousand Waves (Santa Fe, NM); I have also worked in an Integrative Medicine setting (an awesome learning experience for me) at Inner Harmony Wellness Center, in Clark’s Summit, PA. I have had private practices in Vermont, Hawaii, California, and New Mexico. To schedule a session in Ashland OR, or at your location, click here. 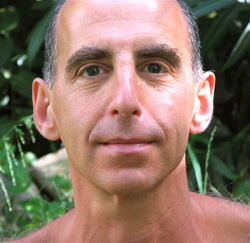 Andrew Yavelow is a massage therapist and teacher currently living in Lake Worth, Florida. He loves to work with people who have injuries and chronic conditions, and offers integrative treatments (both on land and in warm water) that draw on a multitude of structural and energetic modalities. His work provides many people with relaxation, the mitigation of pain, and the restoration of function. He used to work at Harbin Hot Springs, before it burned down, and is available to travel for sessions, teaching, and presentations.